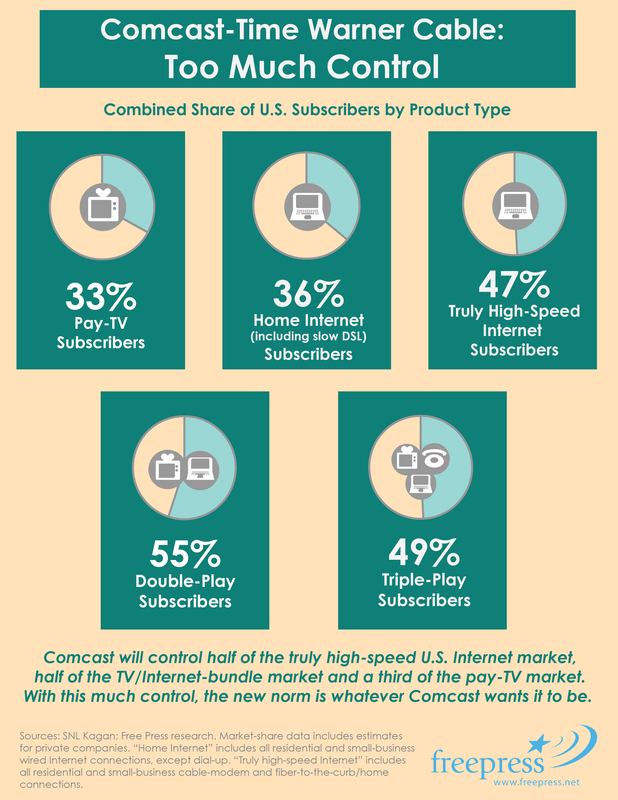 When the nation’s two biggest cable and Internet companies decide to get hitched, it can take a while to crunch the numbers on what that will mean for people. 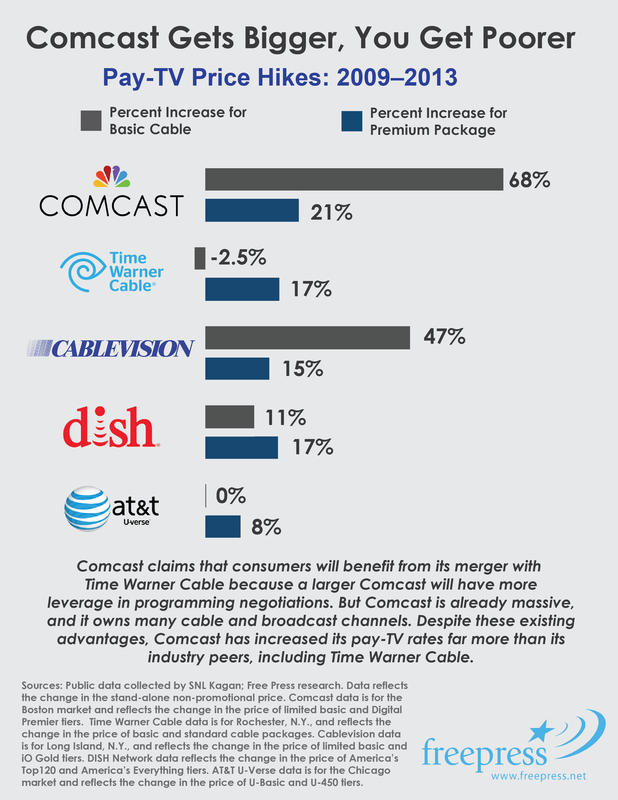 But new Free Press research shows that the Comcast-Time Warner Cable merger would create a media behemoth with unmatched power to raise prices, squash competition and reshape the future of the Internet. To get a glimpse of the future you sometimes need to look at the past. 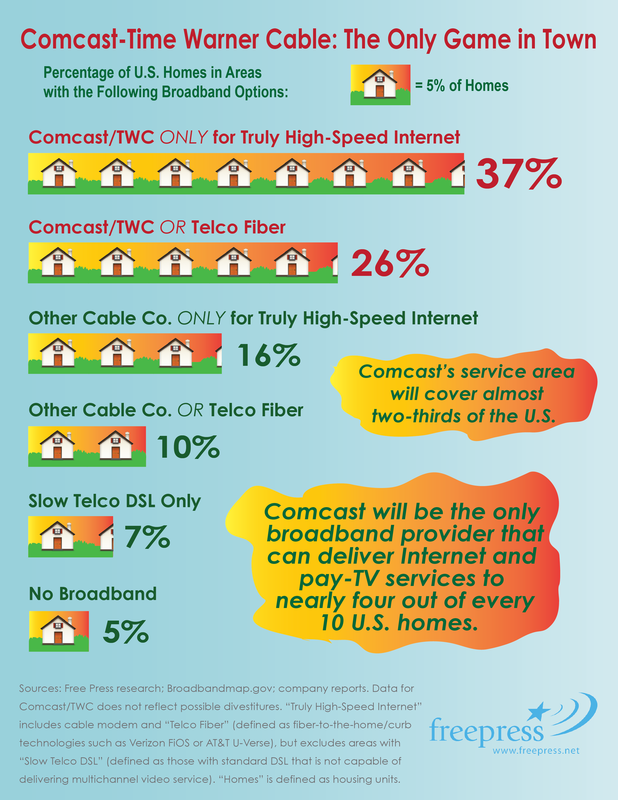 We reviewed Comcast’s prices for its basic and premium cable packages from 2009–2013 and found that Comcast has hiked its rates far more than competitors AT&T, Cablevision and DISH. In fact, during this same period Time Warner actually lowered its prices for basic cable. If the merger goes through, Time Warner Cable customers can say goodbye to that trend. 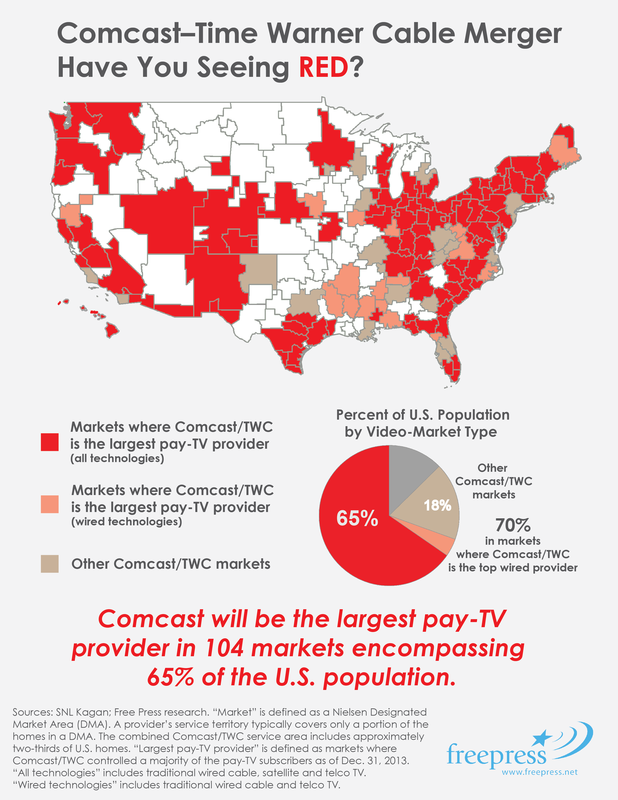 As it turns out even Comcast doesn’t think the merger will lower prices. “We're certainly not promising that customer bills are going to go down or even increase less rapidly," Comcast Executive VP David Cohen told journalists when the merger was announced. So that’s settled. We've known from the start that the merger would be bad for prices, competition and the future of the Internet. Now we have the facts to back it up. Over the coming weeks we’ll look in depth at the issues each of our infographics raises. For now, check out the graphics and share them with your networks. And tell the Federal Communications Commission and the Justice Department to stop the merger.